Some critics think this song was all a bit Pina Colada, but this is still one of those 80s party tunes you just can't fail to want to dance to! "Ay Ay Ay Ay Moosey" was taken from the album Adventures In Clubland and reached No.10 in the UK singles chart. 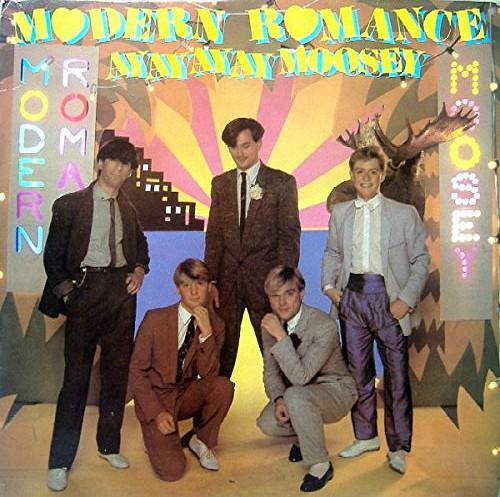 Modern Romance were formed in 1980 by previous members of the punk band, The Leyton Buzzards. The band enjoyed a string of UK chart hits before they broke up in 1985. There other big hit was "Best Years Of Our Lives" which reached No.4 in 1982. This was the first song to feature the band's new drummer Andy Kyriacou, who remained until the band split-up in 1985. He replaced Tony Gainsborough. Kyriacou later reformed the band in 2001 with an all-new line-up that featured no previous members of the band. They played at the 2010 Rewind Festival at Henley-On-Thames.